It is with great pleasure and excitement that I announce the addition of a new member to Limitless Wellness. After many years in solo counselling practice, it is time to let Limitless Wellness grow and meet the increasing demand for great Counselling Services in Nanaimo, BC. There many Counsellors in practice but finding one that you can connect and feel safe with is far more difficult. With raising two little girls, I simply can’t see everyone who is reaching out to me. Rather than turning these individuals away, not knowing if they would get the help they are seeking, I decided to find another Therapist whose passion, curiosity and desire to help, lined up with my own. 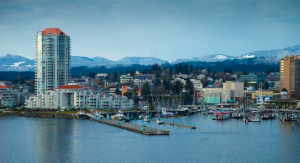 So began the thorough search for another Therapist in practice in and around Nanaimo. I found Esther’s website and the authenticity emanating from her words made her stand a part from all the others. Sometimes the Universe seems to act in funny ways and within 12 hours of discovering Esther online, she literally walked right in front of me in downtown Nanaimo. Perhaps it was kismet or at the very least a sign I needed to trust my initial instincts and reach out to her. Later that day, my email to Esther explained how I had seen her and I was the lady nursing the baby in the store she had visited. I figured that by being completely honest she would either think my email a bit strange and ignore it or she would be intrigued and respond. Either way I’d know a lot more about her and whether or not we would get on well. Long story short, Esther has a presence and calmness that glows around her and I am delighted to add her to the team. She has an honest and tangible passion for helping and is committed to aiding her clients on their journey of healing. I trust that clients are going to be safe in her hands and I look forward to working with her and seeing the amazing work she will do. You can read more about Esther here. Esther and I now offer appointments 7 days a week for individual, youth and couples/marriage Counselling, both in Nanaimo and Online.